Tub Supply Lines. Get your Tub Supply Lines here now. 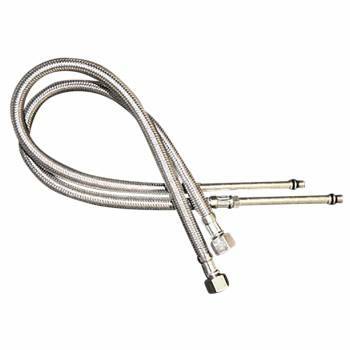 Standard Faucet Supply Line Pair. 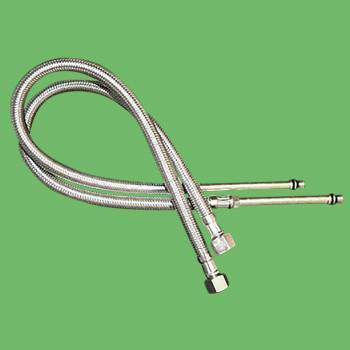 Flex braid stainless steel faucet hose HOT and COLD pair. 10mm thread male to faucet, 3/8 inch female to valve. Overall measures 19 1/2 inches in length. Includes a 10 cm extension at the faucet end to accommodate recessed faucet threaded hot and cold port hole.